Monash University has an opening postdoctoral fellowship position in molecular biology. The deadline to apply is January 03, 2019. Established through a joint venture between Monash University and the Victorian Government, the Australian Regenerative Medicine Institute (ARMI) builds on the University’s existing strengths in biomedical research, and supports the critical infrastructure required to deliver the next generation of discoveries in regenerative medicine. ARMI is located at one of the world’s largest regenerative medicine and stem cell research centres, at the Clayton Campus. Its scientists have a focus on unravelling the basic mechanisms of the regenerative process, enabling doctors to prevent, halt and reverse damage to vital organs due to disease, injury or genetic conditions. ARMI's Mission is to address the unanswered questions with a multicentre, crossdisciplinary and highly focused approach, for the development of innovative clinical protocols as well as the pursuit of rapid commercial transfer of its technologies related to regenerative medicine. A core element of the ARMI is the creating and supporting the scientific leaders of tomorrow through the Future Scientific Leaders Program based on the model at the world-renowned European Molecular Biology Laboratories (EMBL) established throughout Europe. The program facilitates collaboration between the scientific leaders of today and providing young scientists with the freedom to pursue discoverybased research and position them to become the scientific leaders of tomorrow. The Australian Regenerative Medicine Institute currently has 17 research groups and a total of 270 researchers, students and support staff from 21 different countries. 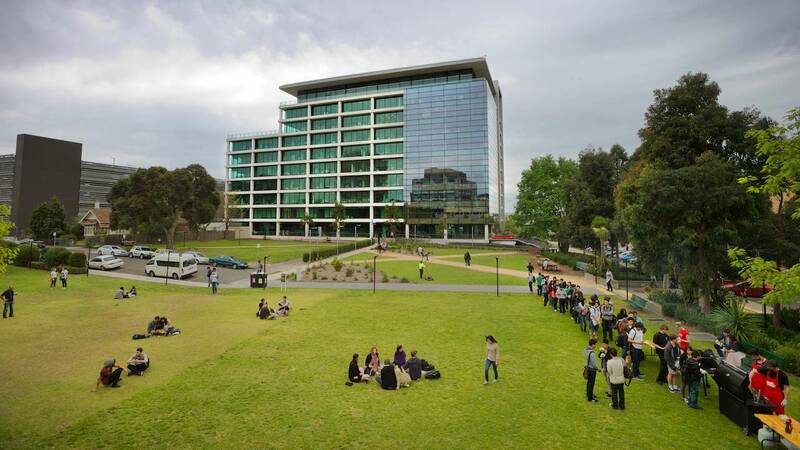 Its location on the Monash University campus offers a highly stimulating biomedical research environment allowing Institute researchers to work closely with other university research organisations including the Monash Institute for Medical Engineering (MIME) and Biomedical Discovery Institute (BDI) and CSIRO, one of Australia's leading multidisciplinary research institutions. The vision promoted at ARMI is to exploit and connect the multidisciplinary of its groups, aligning their complementary capacities around 2 key research pipelines; Heart and muscle development and regeneration, Immunity and Regeneration, Stem cells, Cancer and Regeneration and Neural regeneration. In recent years it has become evident that different cell types organise their microtubules in specific patterns to fulfil specialised functions. However, it remains unkown how microtubules form, re-arrange or switch from a centrosomal to a non- centrosomal organisation during cell differentiation in a physiological 3D environment. The Zenker group uses innovative live imaging technologies to unravel the real-time processes of microtubule remodelling during embryonic development and tissue formation of mammals. The successful candidate has to be highly motivated, curious and enthusiastic to achieve excellence in science. The aim is to establish novel model systems reproducing the in vivo environment to perform live imaging experiments. In addition to a high interest in microscopy, the applicant will use methods for computational image analysis, biochemical, histological, cell and molecular biology.